Are Beauty Product Reviews Trustworthy? Question: Do You Still Trust Product Reviews? 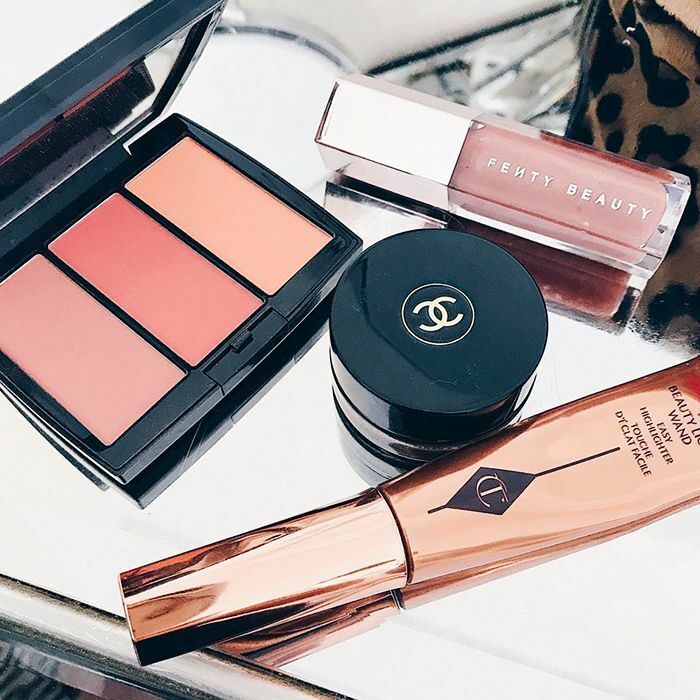 Just as you trust certain sites, channels, and social media accounts to keep you up to date with what's happening in the world, you likely have certain sources to help you discern between "must-have" and "meh" when it comes to beauty products. But what happens when these sites become bogged down with reviews that aren't necessarily trustworthy? With companies like Influenster and Octoly facilitating product reviews everywhere from Amazon to Sephora, the water can become a little murky, and though reviewers and influencers who use these systems are required to disclose their relationship with these organizations, checking reviews (which was initially supposed to streamline shopping and make our lives easier), can quickly become time-consuming and stressful. According to Bill Tancer, author of Everyone's a Critic: Winning Customers in a Review-Driven World, roughly 89% to 90% of consumers use reviews to inform their shopping decisions. "It is the most influential thing in terms of making a purchase decision," he told Racked. And what's more, Tancer stipulates reviews have become even more influential than the expertise of sales associates or recommendations from friends and family. So what's the key to smart sifting? Tread carefully. Here are three helpful things to know when scrolling through product reviews. However, it's important to know that though these companies (like Influenster) may be facilitating the relationships with certain beauty brands or channels, they can't dictate what the reviewer will actually say in their review. Plus, the reviewer is required to disclose any type of relationship so that a reader will automatically realize the review isn't 100% authentic—in the truest sense of the word, at least. So technically, the feedback should be their own and, for the most part, trustworthy. According to Racked, "Reviewers are taught to use the hashtags #gifted, #honestreview, and #octolyfamily in an effort to meet FTC guidelines, though recent crackdowns on celebrities highlight that the wording should be really obvious." And despite popular thought, these types of reviewers are allowed to leave negative feedback if they wish to do so (spoiler: they usually don't). According to Octoly's founder, Philippe Garnier, a company can choose to stop sending product to someone who leaves a negative review on another channel. The workaround? Most reviewers simply won't provide feedback on something they don't like. A Takeaway: Familiarize yourself with disclaimers (hashtags are dead giveaways), and if you're shopping on Amazon, try using Fakespot. It's a free online tool that can tell you how trustworthy a particular review is. Retailers like Sephora and Amazon are aware of reviewers who receive product and incentive to write potentially biased feedback: "As part of our terms and conditions for leaving a review, our users must disclose if they have been sent promotional samples or select our 'received as free sample' button," a Sephora representative told Racked via email. "Samples are a part of the beauty industry and are one of many ways that brands market to potential clients. Our goal with the Sephora Ratings and Reviews is that regardless of how you discovered a product, your share of your experience is authentic, unpaid, and unbiased." In short, we'd hope that reviewers will, indeed, provide an honest representation of their experience trying a product, but as with anything we read on the internet (beauty related or not), it's important to take everything with a grain of salt. A Takeaway: Be wary when you don't see any negative feedback. In this case, it's likely that the majority of reviewers have an incentive (thus post positively so they continue to receive product), or any negative reviews are being removed by the brand or retailer. It's also worth pointing out that it's incredibly difficult to be unbiased and objective when it comes to beauty products. What one reviewer might honestly love, another reviewer might honestly detest. We're all different, and we have different needs and preferences when it comes to our skin and beauty aesthetic. Thus, even without incentivized reviews, we still need to be smart consumers and shop for our individuality and not for the sake of our favorite influencer. A Takeaway: Although reviews can provide helpful insight, talking to trained, knowledgeable experts in-store (and cross-checking product reviews over multiple platforms and retail channels) is a great way to make a more informed decision where your shopping cart is concerned. Next up, here's everything you ever wanted to know about the beauty black market.